A Greek island, full of breath-taking views, white houses, hundreds of churches with blue rooftops and a clear sea, is famous for its astonishing sunsets. Santorini has been high on my bucket list for a while and this year I finally got a chance to visit it and see its timeless views for myself. I visited Santorini in combination with the island of Mykonos: 4 days and 3 nights on an island of volcanic origin, which many call a remainder of Atlantis. I will forever remember this trip, thanks to the Anteliz Suites hotel, which was a warm host to me. 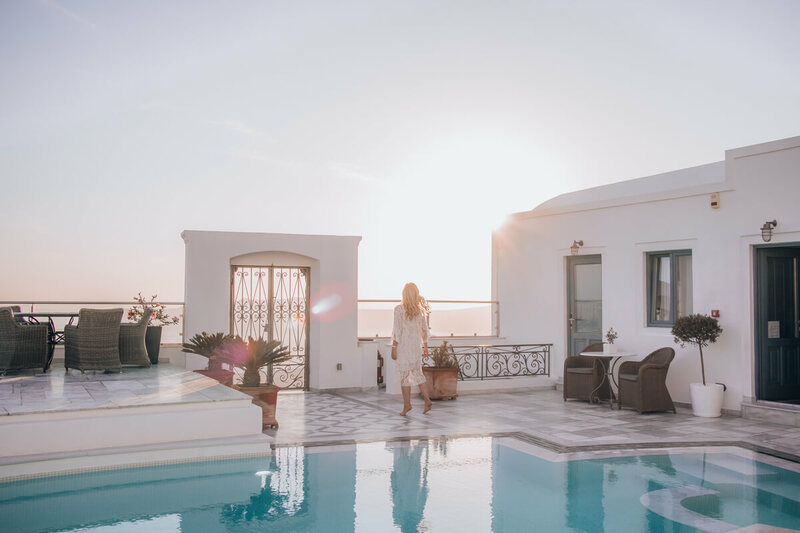 Located directly near the main city of Fira and with a view on the Caldera of Santorini and the Aegean sea, the small Anteliz Suites boutique hotel is a perfect starting point for your Santorini hike. 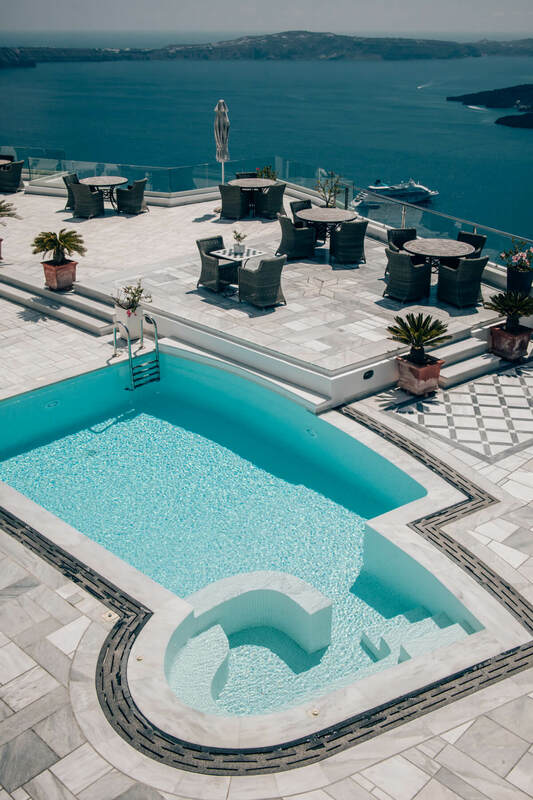 Hotel is nicely secluded from the vivacious Fira, located by the walking path, which connects the main city with the beautiful town of Imerovigli. 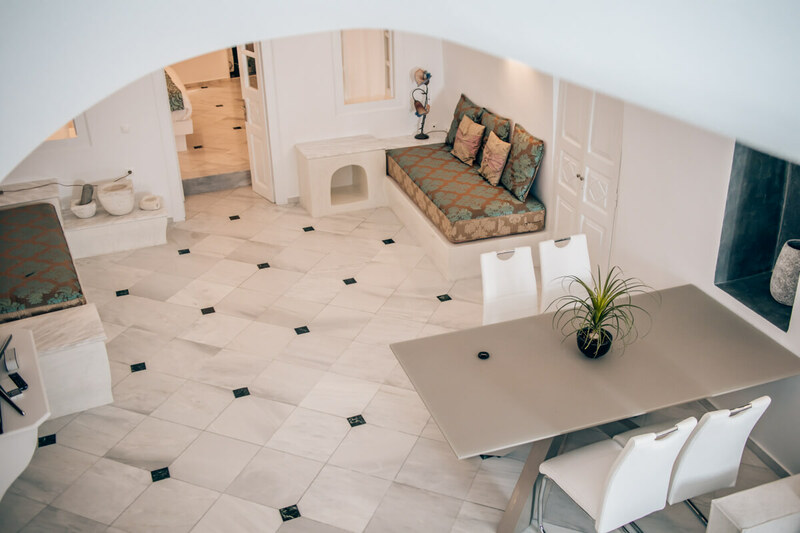 It therefore offers a peaceful, relaxed and calm atmosphere in the evenings, perfect after a long day of exploring the island. It is a space where you can truly rest, absorb the beauty of magical sunsets, spoil your taste buds and pamper all of your senses. However, it is still close enough to the restaurants, local gyros places, shops and museums, with the Three Bells of Fira church just a few meters away. 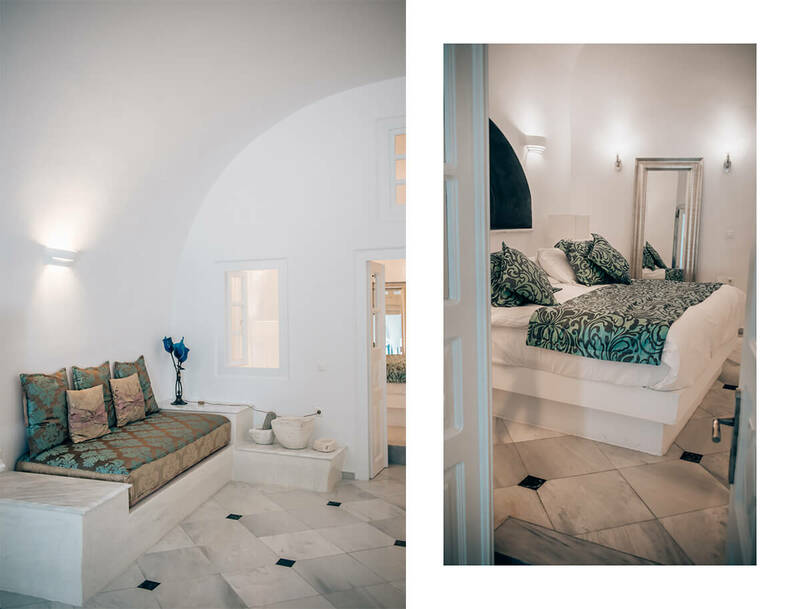 Why is Fira a better place to stay on Santorini rather than famous Oia? Simply because it’s not so known to the public eye, which makes it less crowded and the prices are less costly. 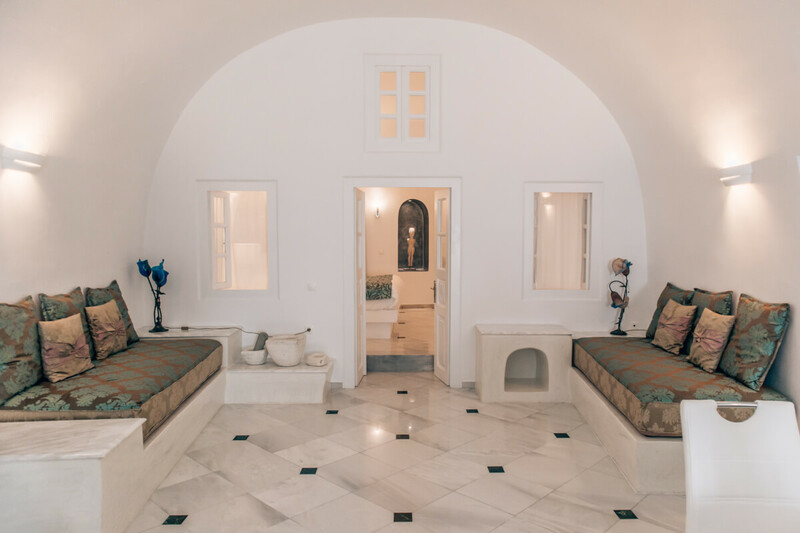 By car, Oia is only about a half an hour away, (with the nearby airport 7 kilometres and harbour just shy of 10 kilometres in the distance). Are you looking for a hotel on Santorini with an astonishing view and ideal location to enjoy the sunsets? 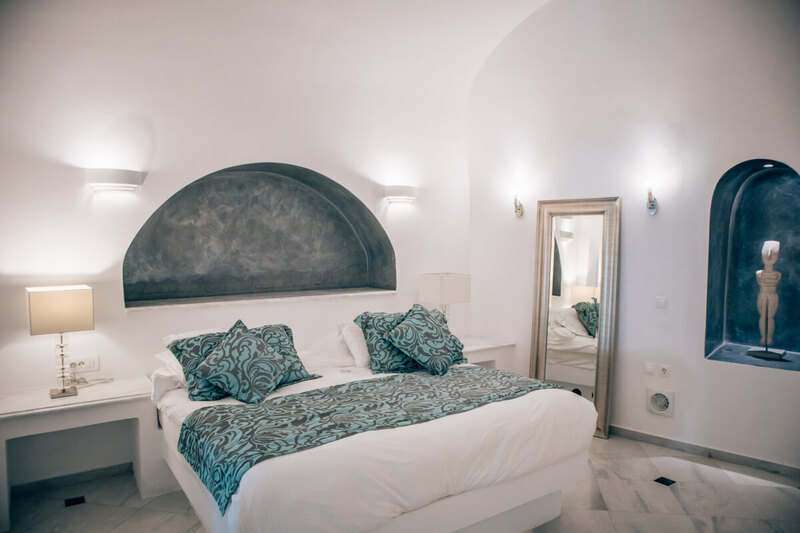 Anteliz Suites is without any exaggeration an ideal choice. The walking path, which leads from Fira to Imerovigli, is on the extreme point of the island, which steeply slopes downwards in the direction of the sea. The Anteliz Suites is therefore located right by this path, almost on the verge of cliff edges and offers a perfect spot for seeing the sun set. With only the sea and a neighbouring island in sight, behind which the sun disappears in style – you can enjoy a spectre of colours that shade into blue, orange, yellow, pink and red. I’ve seen quite a lot of beautiful sunsets all over the world and Santorini truly takes the crown. It’s on the top of my favourite locations to watch the sun say goodbye after a long day (all you need is a bit of luck with the weather because the mist at the beginning of the season can cause a bit of trouble). 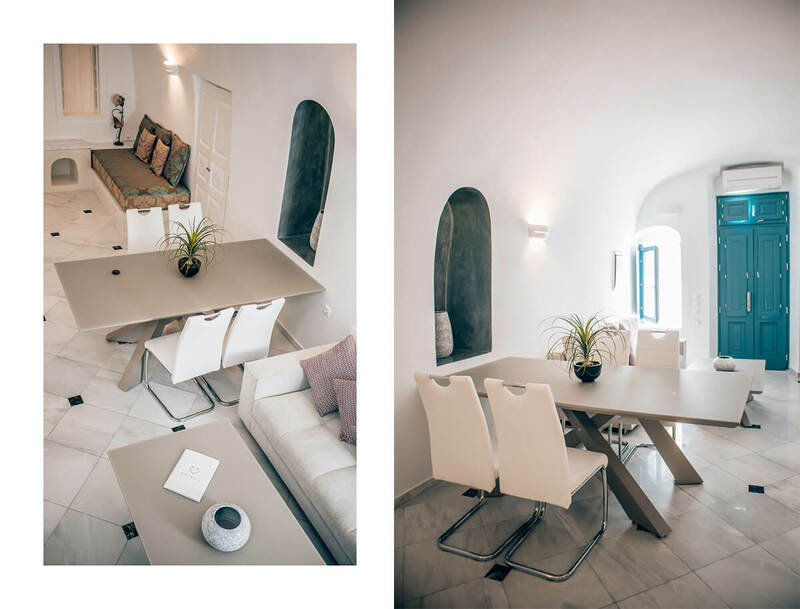 The main characteristic of Anteliz Suits that impressed me was its spaciousness – we stayed at the 110m² large Master Suite, suitable for 2-4 adults. Rooms are incredibly spacious, airy, luxurious, created to enjoy and relax. 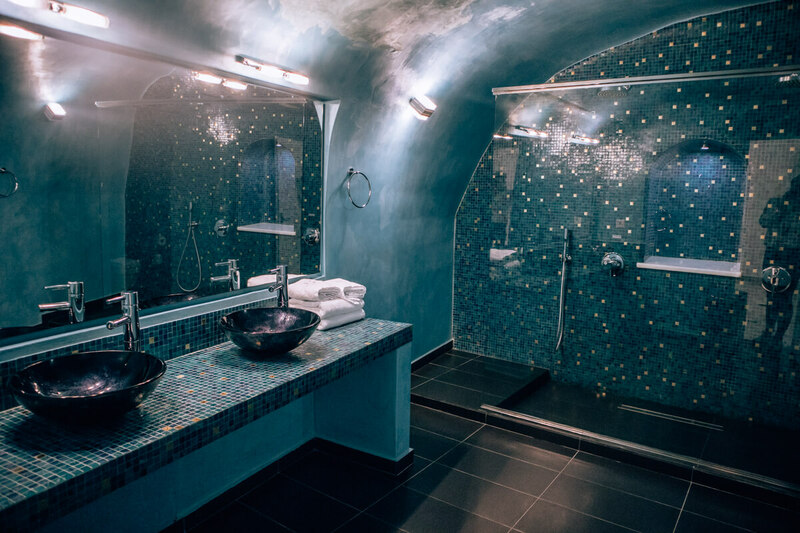 The suite has two large bathrooms, one of them with two showers (decorated with a cerulean blue Venetian Stucco). The decoration is combination of modern and traditional Greek. 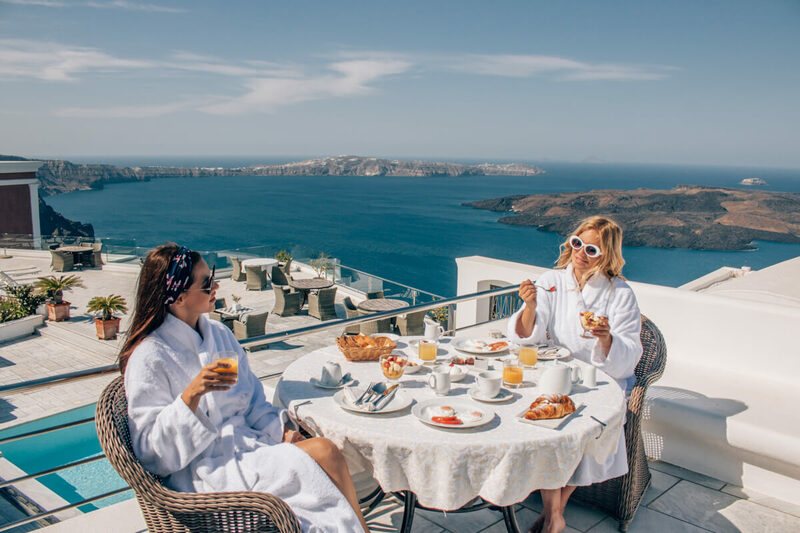 The most impressive part of the suite is without a doubt the private balcony with a panoramic view, a perfect spot for you to enjoy an evening glass of a wine or a breakfast in the morning. 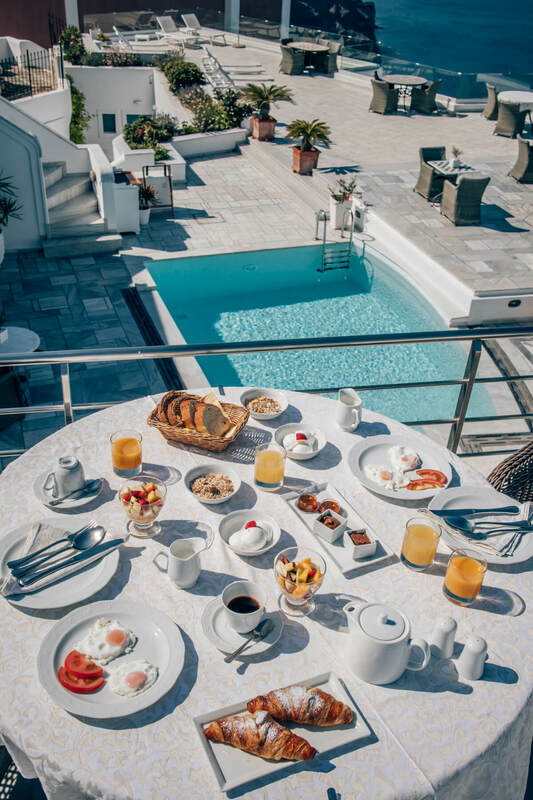 You can also enjoy a lavish and tasty breakfast at the hotel terrace (where the pool and Jacuzzi are). Some of the rooms even have their own swimming pool overlooking the Caldera. 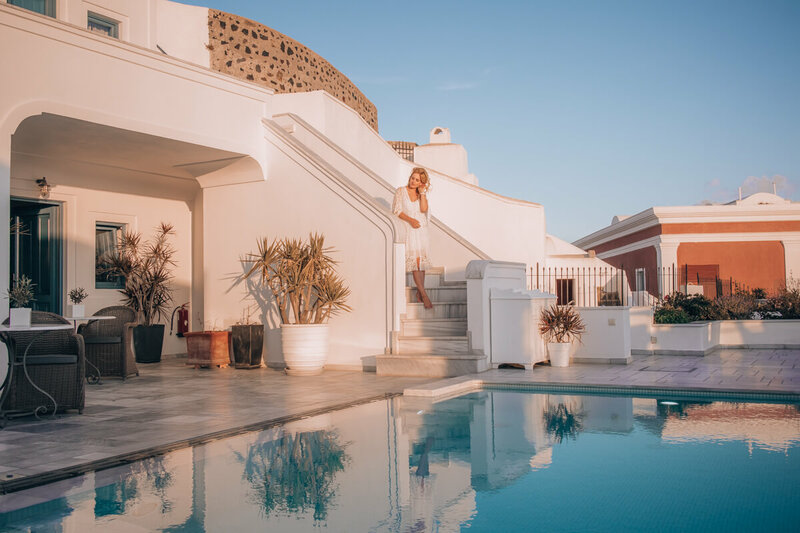 To all the newlyweds, lovers and those who seek a calm and luxurious location for a dream vacation on the island of Santorini: This is a perfect hotel for you!